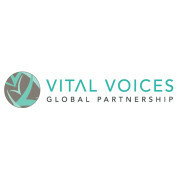 Vital Voices' Global Mentorship Leading to Leadership Program will consist of three global programs working with a diverse group of partners and experts. These programs will focus on leadership in the following areas: leadership in government, leadership in business, leadership in Human Rights, leadership in Peace and Coexistence. In 2011, the 'Global Partnership to End Violence Against Women' continued with two programs: the Avon International NGO Mentoring Program in the U.S., and a regional follow-up training in South Africa planned for the African delegations of the Partnership in September. The program will provide participants with specific knowledge, skills, and relationships that will enhance their professional development, their respective NGOs, and the communities they serve. In August 2011, in partnership with the New Zealand Ministry of Foreign Affairs and Trade, AusAID, and the Asian Development Bank, Vital Voices will launch a 19-month program to empower 13 country delegations to implement a specific project in one of three issue areas: influencing legislative and policy change to improve women's labor force participation; working to remove legal impediments to women's entrepreneurship, and advancing young women's leadership and mentorship in public life. In addtion, the program 'Young Women Leaders Building Peace and Prosperity' continued with a program in Haifa, Israel in April 2011, and the Latin America Caribbean Businesswomen's Network (LAC BWN) was launched in Argentina, Nicaragua, and Guatemala in June 2011. In 1997, Vital Voices was created to make space for women to be heard. Their founders knew then what has now become a universal truth: that women are essential to progress in their communities. Their world cannot move forward without their full participation. Today, their organization is the product of the women they have worked with, their insights into leadership and their changing world. They invest in leaders because they take the responsibility to improve societies. They strengthen laws, create jobs and defend political freedoms. Their investment in one leader impacts hundreds and thousands more. They partner with women who demonstrate leadership that unites and inspires people. They exhibit visionary thinking and take risks to innovate. Each leader in their global network believes in mentoring the rising generation and shares her knowledge, experience and influence with others. Armed with two decades of insights and best practices, their organization is charting a new course for women’s leadership. The women they partner with are activists, innovators and entrepreneurs. They come from cities and villages, and from every educational, religious and socio-economic background imaginable. They create the world they imagine and drive transformation in their communities and beyond. American University is known for its distinctive character – as a place where students learn from leaders in their fields and are engaged in active citizenship. Our Washington, D.C. location serves as a laboratory for learning through work, internships, and other forms of experiential education. The Kogod School of Business embodies this character. We know that conducting business in the capital, where so many industries and sectors meet, is unlike doing business anywhere else in the world and we are committed to preparing our graduates to excel in this dynamic environment. In 1995, former Member of Congress, Marjorie Margolies, served as the Director of the United States delegation to the United Nations Fourth World Conference on Women in Beijing, China. At this conference, 189 countries signed a shared commitment to achieving equality, development and peace for women worldwide. Inspired by these commitments, Ms. Margolies founded Women’s Campaign International (WCI) to empower women to achieve these goals. Now a renowned international NGO working with individuals and communities throughout the developing world, WCI provides the requisite skills, knowledge and culturally-sensitive support to develop leaders and transform communities. Implementing a proven curriculum focused on sustainable capacity-building and community engagement, WCI’s programs have equipped more than 400,000 individuals with tangible skills in small business development/financial literacy, community engagement, political participation, campaign management, and conflict mitigation. 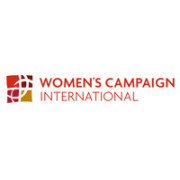 Operating at local, national, and global levels since 1998, WCI has worked to establish and cultivate a leadership development pipeline for girls and women to effect worldwide change. WCI empowers girls and women around the world to actively participate and fill leadership roles in the economy, community development, civil society, and peacebuilding efforts. WCI envisions a world where women and men have equal seats at “the table” in social, political, economic and all other spheres around the world. The Avon Foundation has been improving and saving women's lives since it was founded in 1955, and we are proud to be the largest corporate philanthropy dedicated to women's causes globally. Through 2012, Avon global philanthropy has raised and donated more than $910 million worldwide. 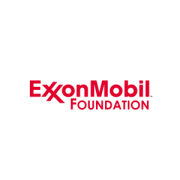 Fund the most promising work; Convene its grantees, partners and other thought leaders to collaborate and share best practices for improved outcomes; Initiate new directions and innovative projects to accelerate progress; and Educate the general public and key audiences to drive and change behavior to achieve its mission goals. From crusading against breast cancer to speaking out against domestic violence, the Avon Foundation has been standing strong for women since 1955. Breast Cancer Crusade - Breast Cancer is the most commonly diagnosed form of cancer in the world, with one woman diagnosed every three minutes in the U.S. alone. It's a disease that touches the lives of millions every year, and to help combat it, we created The Avon Global Breast Cancer Crusade. Over the past 20 years, we've been steadfast in our support of the women and men affected by breast cancer through funding programs that enable patient access to quality care and by awarding research grants to help find a cure. Speak out against violence - One in four women in the U.S. will become a victim of abuse in her life, with teens and young women being particularly vulnerable. It's an epidemic that's widely felt but rarely discussed -- something we seek to change with the Speak Out Against Domestic Violence initiative. Through this program, we're working to build awareness, to educate, and to provide direct service programs to help break the cycle of partner abuse. Emergency Relief - As global corporate citizens, Avon Products, Inc. and the Avon Foundation for Women together respond quickly to national and international emergencies. Since 2001, more than $19 million has been raised and donated to women and their families affected by natural disasters or crises. In 2014 Avon provided funds to World Food Program for Typhoon Haiyan survivors. In 2013 Avon provided funds to the United Way of Central Oklahoma May Tornadoes Relief Fund for tornado relief efforts and Rebuilding Together for Hurricane Sandy rebuilding and relief efforts.